Now there's two words to get any air travelers attention...DEATH and INJURY. You'd think that by the screaming head (in red 'ink') that this flying stuff is as deadly as wrestling a dozen live tigers who are really hungry. 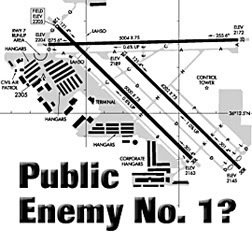 And we now know the names of some of “America's Most Dangerous Airports”...but with an aviator's analysis, I found questions in this story creating holes big enough to fly an A380 through without bending the wingtips. 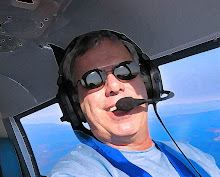 “Most fliers worry about crashing in-flight even though only 74 commercial aircraft have crashed since 2001, despite more than 10 million flights annually.” So let's see, that's 10 million flights a year times five years (2002-2006), or FIFTY MILLION FLIGHTS with only 74 crashes. My calculator tells me that's 0.00000148 percent! That doesn't really sound like so much death and destruction. One of the fields that made this list is Long Beach/Dougherty Field, the scene of 78 incidents and no fatalities. So no DEATH to report but LGB is still being called dangerous? How can they sell papers with such a pathetic mortality rate? 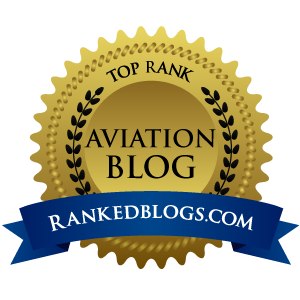 Newark International Airport came in at No. 7 in this story, apparently because of an August, 2005 incident where an arriving Continental Boeing 737 pulling into its assigned gate “sliced two parked Embraer jets.” A “fender bender”, yes...sounds pretty unsafe for the jets, but how does this qualify EWR as one of the most dangerous airports in the country? O.K., in all fairness, the article does explain that the FAA is aware of the growing number of runway incursions, and that the money is nowhere to be found to do much about it. I just get peeved each time I read one of these MSM articles that simple spews numbers just to take up column inches. Gotta go now and book my next business trip. I've decided to fly commercial and challenge the Gods as I try to beat those odds of 0.00000148 percent and survive another ride in a pressurized tube being hurled violently through the air by two flaming engines that create massive amounts of thrust by igniting several thousand pounds of explosive highly-compressed jet fuel into a raging eruption that blasts myself down to California at close to 500 miles per hour.